You’ll see from a few examples below, of some of my shortlisted entries from previous years, how those images from that first Collection have gone on to influence my own work. 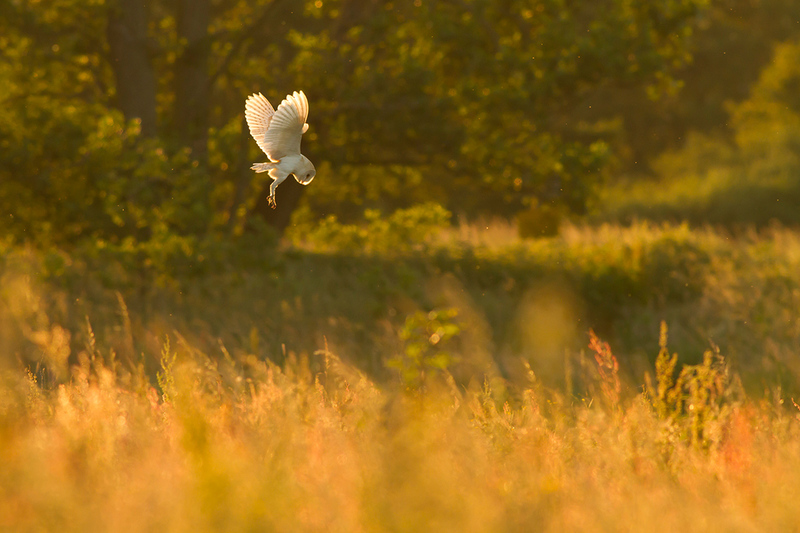 Barn Owl, Papercourt Meadows. Shortlisted, BWPA 2015. Since seeing Yannick Dixon’s shots I’ve wanted to see and photograph a starling murmuration. 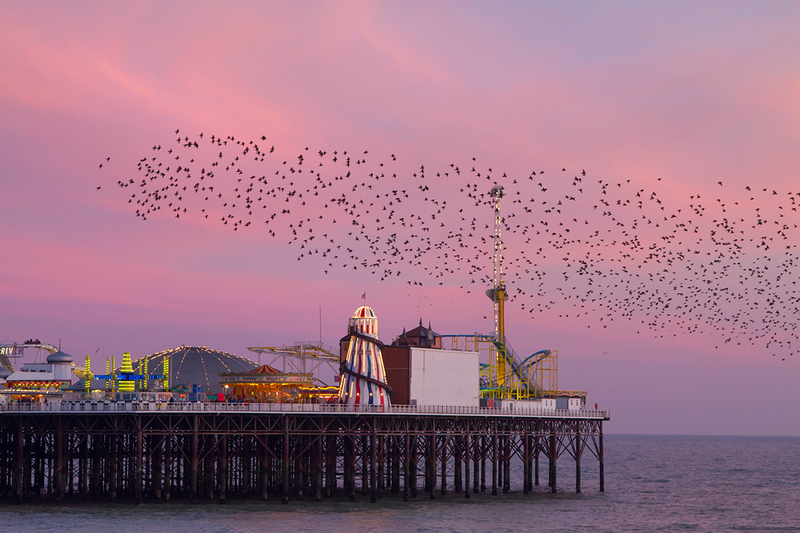 When I did eventually get down to Brighton Pier to see the murmurations I was blessed with some beautiful pink light, and the starlings put on quite a show. Starling Murmuration, Brighton Pier. Shortlisted, BWPA 2016. Due in no small part to Chris Elliott’s shot of Grebes I developed something of an obsession over the years. The Basingstoke Canal, a couple of miles from home, was an excellent place to see and photograph them at close quarters and during several months through the spring and summer of 2011 I followed a family through the courtship and in turn rearing of a pair of chicks. 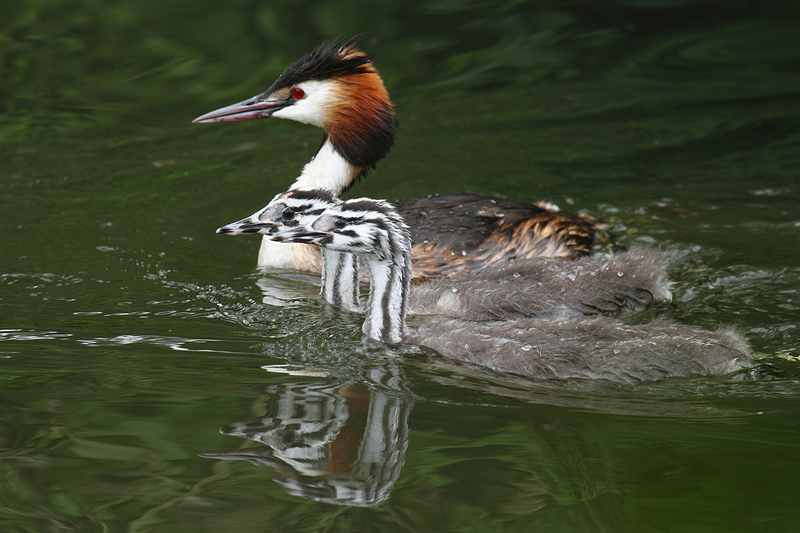 Great Crested Grebe with Chicks, Basingstoke Canal, Mytchett. 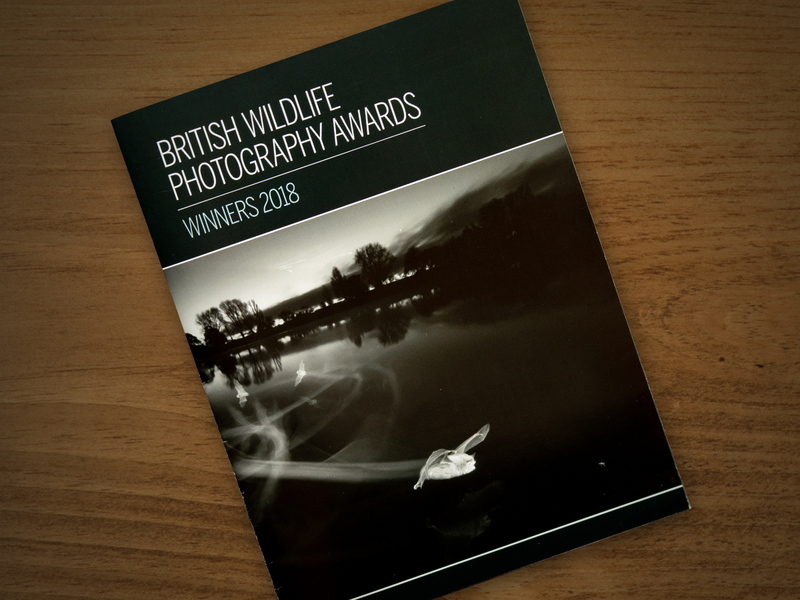 Shortlisted, BWPA 2011. As for the Mountain Hares, I booked a workshop with Craig Jones in the Peak District, but in a stroke of bad fortune Craig’s car broke down. Although he instructed us as to where we might find them, without his expert guidance we were unable to locate them. So they’re still very much on my ‘to do’ list. Listed above are just 3 entries that failed to make it beyond the shortlisting round, but this year was different of course. I managed to get 3 images shortlisted, and so my hopes were raised. Then one day in August I was on the train on my way home from work when I got the call from Maggie Gowan at the BWPA. 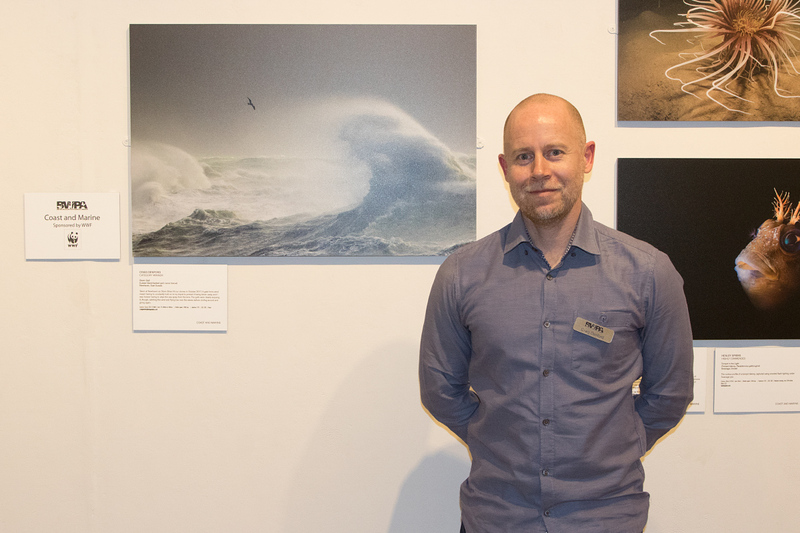 My heart was pounding as she told me that my shot had ‘done rather well’, and had won the Coast and Marine Category. 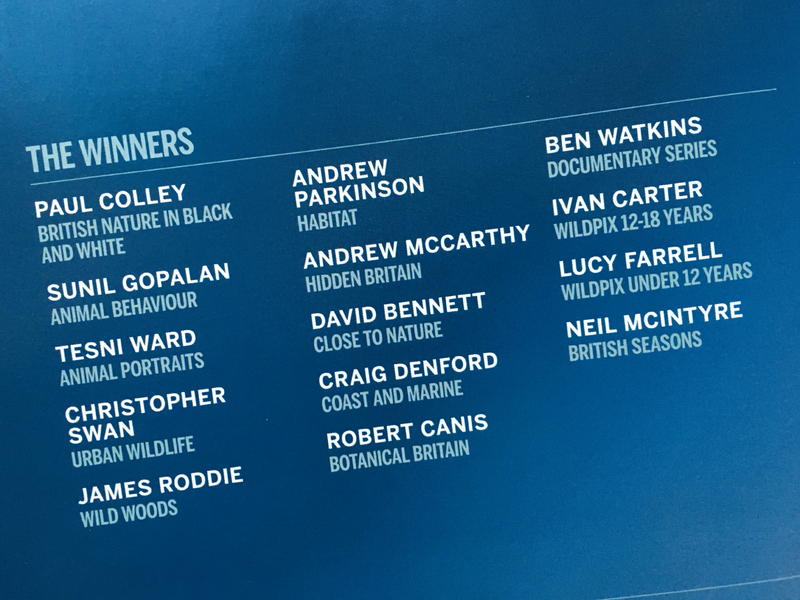 I’d have been ecstatic just getting in the book, but to actually win a category was more than I could ever have hoped for, a dream come true. 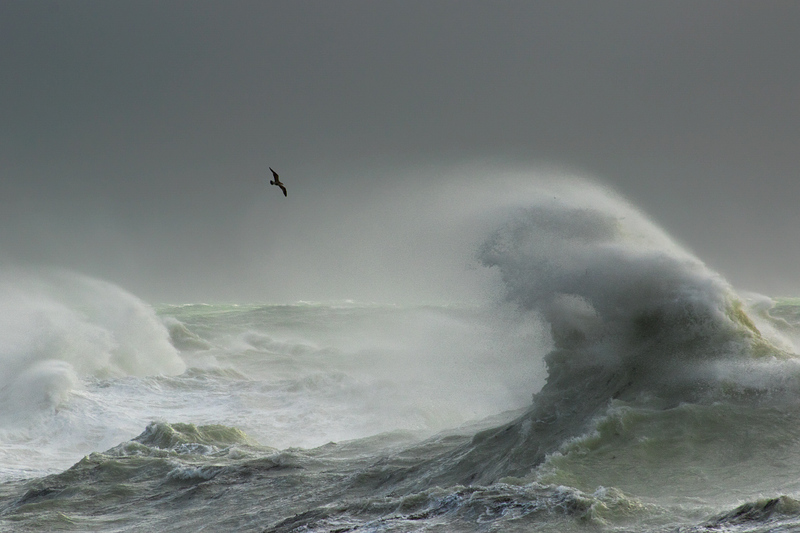 The shot was taken late last year when I travelled down to Newhaven to see and photograph Storm Brian as it hit our shores. You can see it’s influence in a couple of shots by New Zealand photographer by the name of Richard Sidey, of gannets flying low over a turbulent sea. The conditions at Newhaven were perfect to try and create something similar myself; 80 mile per hour winds, massive waves, and the sun poking through the dark clouds to give some great light. It was one of those rare days when you get half a dozen or more photos you’re really pleased with, and a fateful day indeed. Two photographs from that day have now received awards – the first in the Outdoor Photographer of the Year 2017, and now this one. 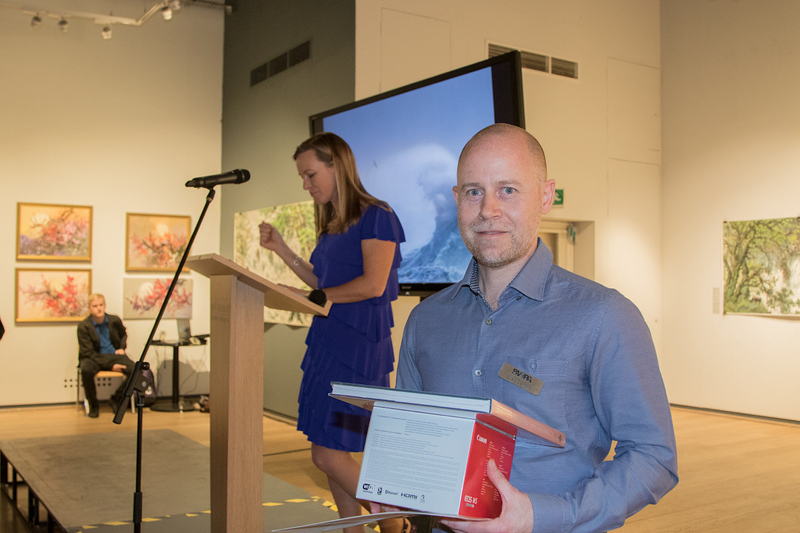 The awards ceremony was held at The Mall Galleries in London, and I was presented with a certificate, a Canon EOS M5 camera and a copy of the book by TV presenter Miranda Krestovnikoff. Congratulations to all the winning and commended entries in the competition. So many fantastic images, I think Paul Colley’s overall winning image is extraordinary for the amount of time and effort and technical precision involved. Anyone wishing to buy the book can purchase it here. 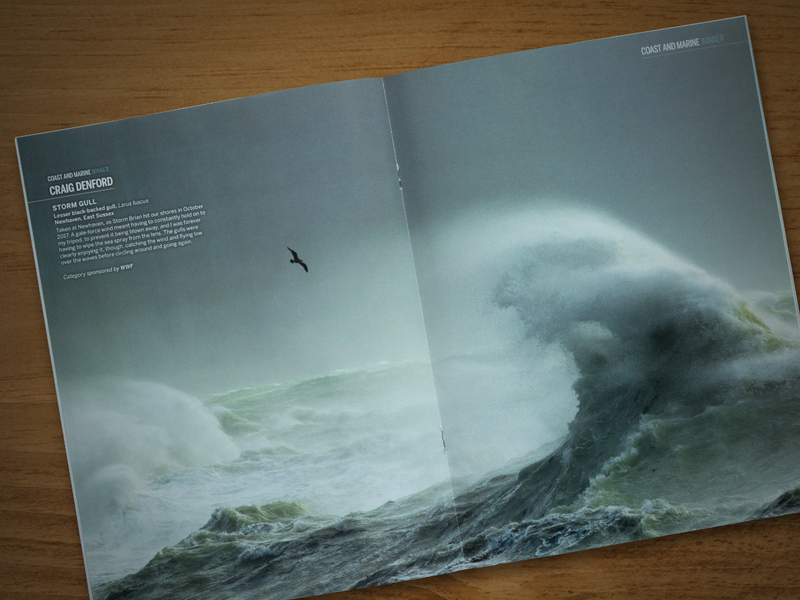 The quality of the print is outstanding, a beautiful and highly recommended publication.